In a Trump presidency, how can poor Lucky Ducky possibly win?? 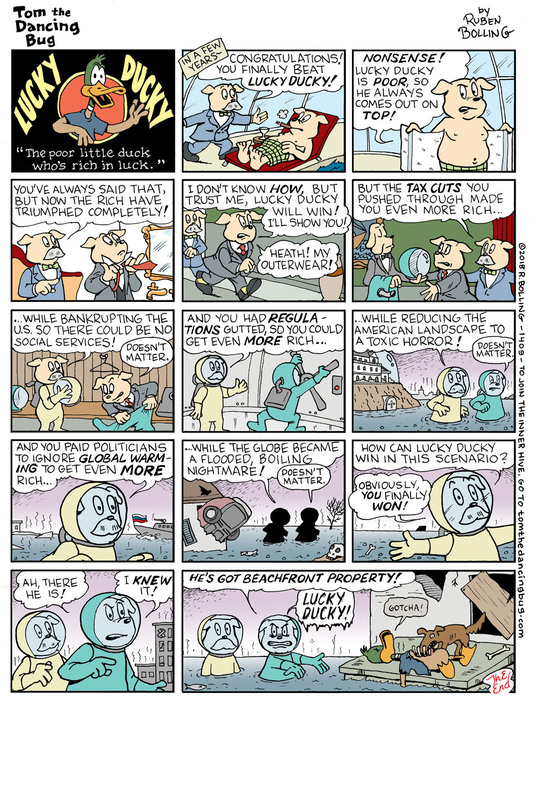 Tom the Dancing Bug, IN WHICH despite slashed social services and environmental and climate catastrophe, Lucky Ducky, the poor little duck who's rich in luck, STILL comes out on top! RESIST! … the temptation to fail to JOIN Tom the Dancing Bug's subscription club, the Proud & Mighty INNER HIVE, for exclusive early access to comics, extra comics, commentary, and much more.